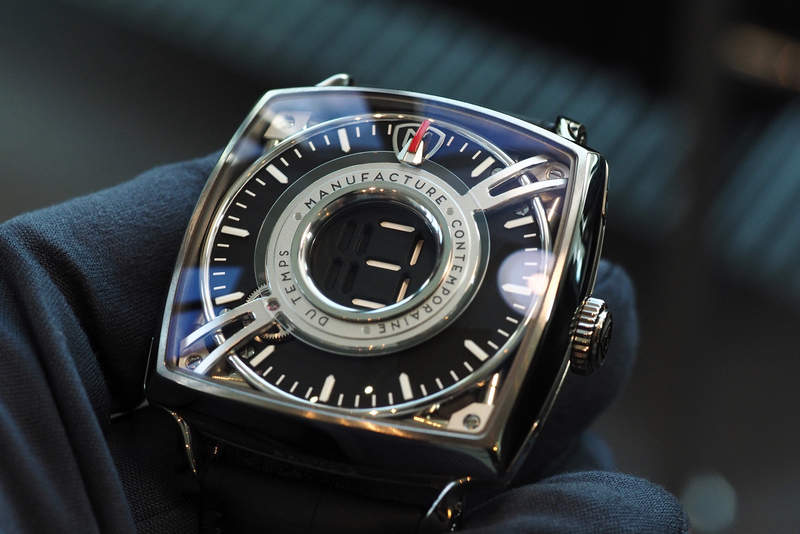 Swiss independent watchmaker MCT (Manufacture Contemporaine Du Temps) debuted a really cool timepiece this year at Baselworld called the MCT Dōdekal One D110. 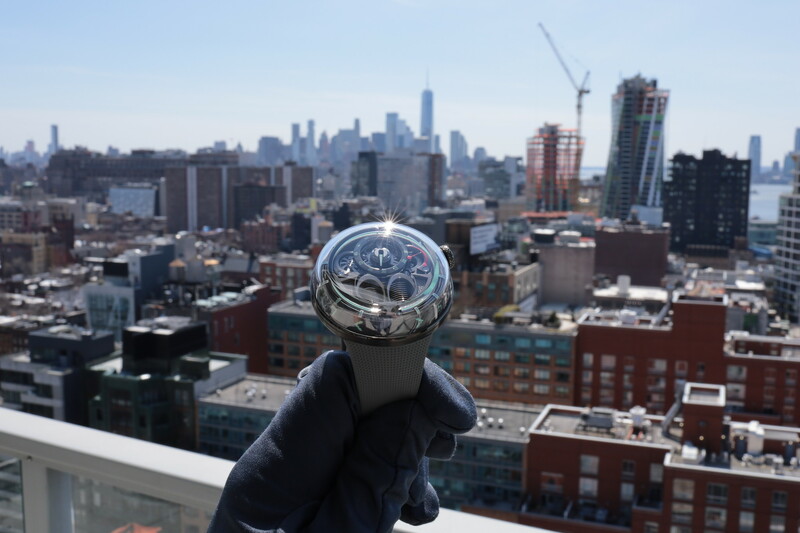 Produced in conjunction with the relatively young company’s tenth anniversary the Dodekal One is the first mechanical watch with a digital hours display in the center of the dial. According to MCT, the Dōdekal One design was inspired by 1970s electronic watches. It is powered by caliber D1 and which required a complex set of cams and carriages to display the hours in digital form. The coolest feature relates to the transition of the hours which takes place over a period of 2.5 seconds, which results in the appearance of a slow fade, and really makes you do a double take. 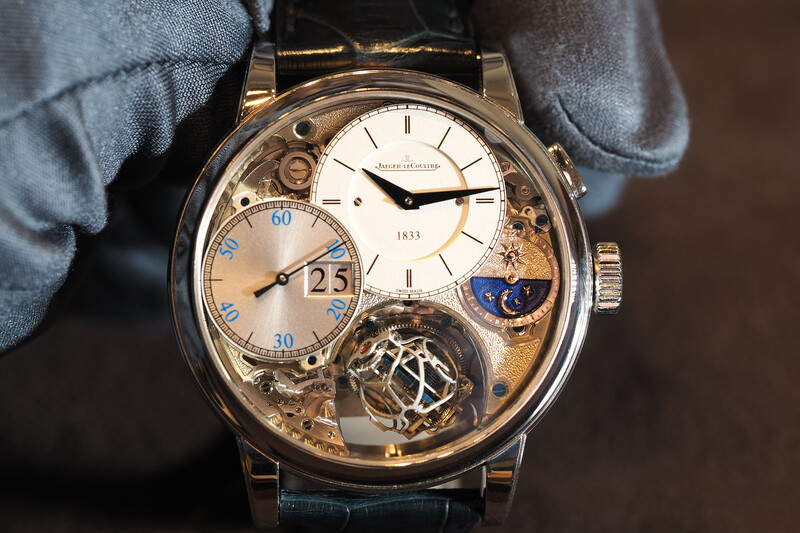 Minutes are displayed by a red-tipped flying hand that runs around the perimeter of the dial. The watch comes in a cushion-shaped case that measures 43 mm x 43 mm, so it is perfectly wearable unlike some of the crazy creations we see from independent watchmakers. 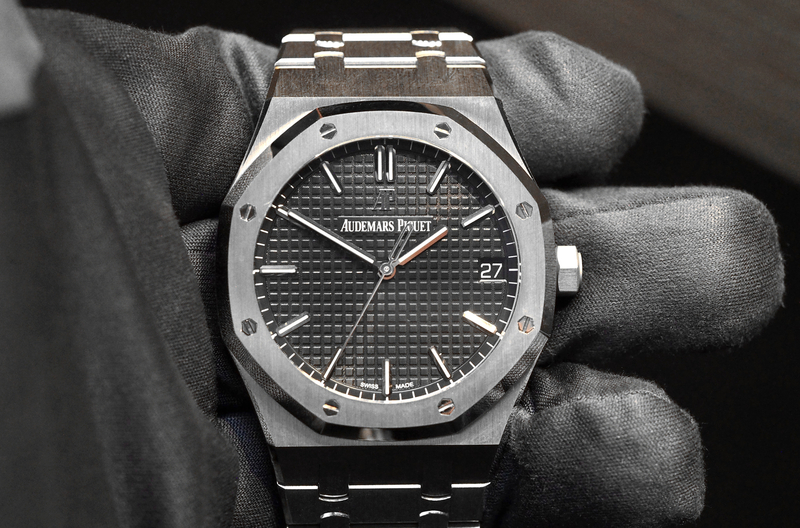 Driving the watch is an automatic movement that beats at 2.5Hz and has 62 jewels, with a power reserve of 50-hours. An 18K gold micro-rotor winds the mainspring. Bridges are hand chamfered and decorated iwth Geneva stripes. Available in titanium or titanium black DLC & 5N pink gold, the Dōdekal One D110 is with be limited to 25-pieces per version.